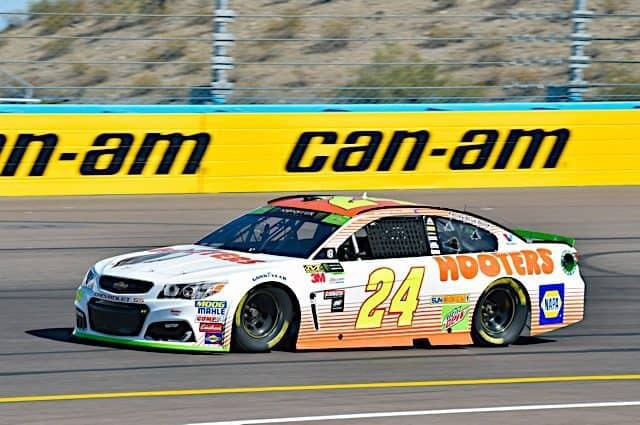 On Friday afternoon, Chase Elliott did everything that he needed to do in order to keep his hopes for advancement alive. The Hendrick Motorsports racer was quickest in opening practice with a lap of 26.207 seconds (137.368 mph). Elliott’s lap was just a quarter of a hundredth of a second faster than Martin Truex Jr. Joe Gibbs Racing’s Denny Hamlin was third quickest, followed by Kyle Busch. Ryan Blaney was the fastest Ford in fifth. Matt Kenseth was the fastest non-playoff contender in sixth, followed by Jamie McMurray and Jimmie Johnson. 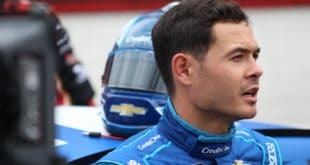 Joey Logano and Kyle Larson rounded out the top 10. Only two of the eight playoff contenders were outside of the top 10 at the end of the 85 minute session. They were Kevin Harvick in 11th and Brad Keselowski in 17th. Hamlin was the only driver to compete a 10-lap run during the session. That run was done at an average of approximately 27.102 seconds (132.831 mph). 39 cars took time during the session. The lone driver not to venture onto the tri-oval was Kyle Weatherman, who returns to Rick Ware Racing’s No. 51 Chevrolet for his second Cup start this weekend. The session was more or less clean. There were no on-track incidents, but there was one caution for debris. Monster Energy NASCAR Cup Series teams will qualify Friday at 6:30 p.m. EST (4:30 p.m. MST). The session will be aired live on FOX Sports 1.